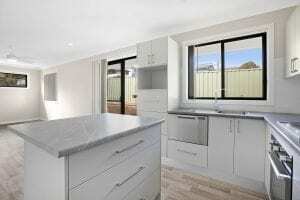 Hutchinson Street was the location of a recent granny flat build in Redhead. 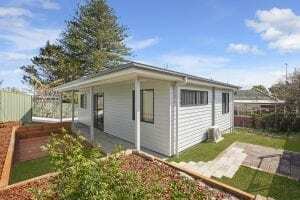 A couple living in the same suburb came to Backyard Grannys looking to increase the return on their investment property. 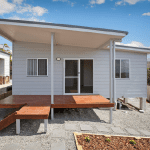 Granny flats are a perfect opportunity to build your property portfolio and provide a reliable income stream without having the considerably high up-front investment of a traditional home. 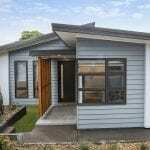 In our experience, it’s not unusual for a granny flat to return as much as 15 per cent return on investment. Before beginning construction of the home, we needed to level out the sloped site. A standard cut and fill was completed to ready the land for construction. Our clients chose The Elanora two-bedroom granny flat design, finished with James Hardie Newport cladding to the exterior. Its cottage look with a hip roof combines traditional architecture and materials to create a bold timeless appeal. Our clients opted for the inclusion of a patio that spans the length of the house which further enhances the homely feel of The Elanora, while also increasing the amenity. The home features and open-plan living space and it is a comfortable space with ample room for lounges and a dining area flowing on to the functionally appointed kitchen. 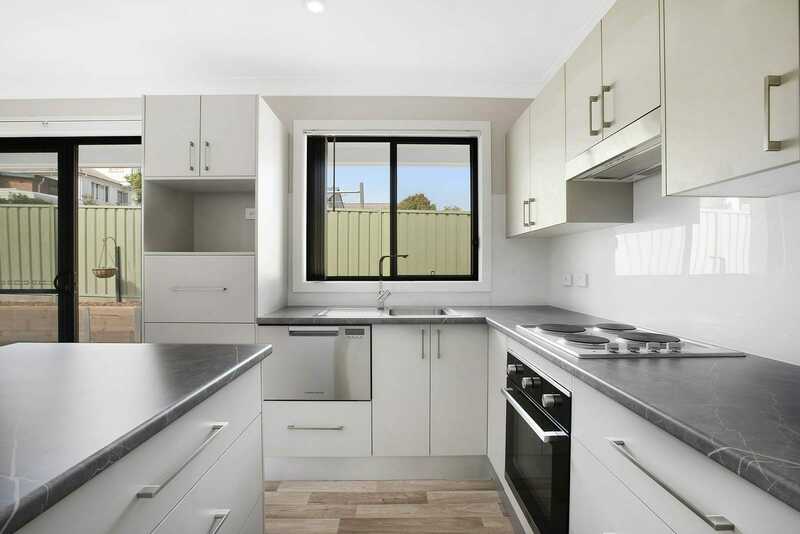 The kitchen is the standout feature of this granny flat. It features an island bench, compact stainless steel dishwasher, Vistelle acrylic splashback and generous storage space. 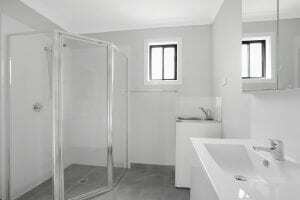 Beyond, the bathroom features a shower, toilet, recessed shaving cabinet and a compact laundry. 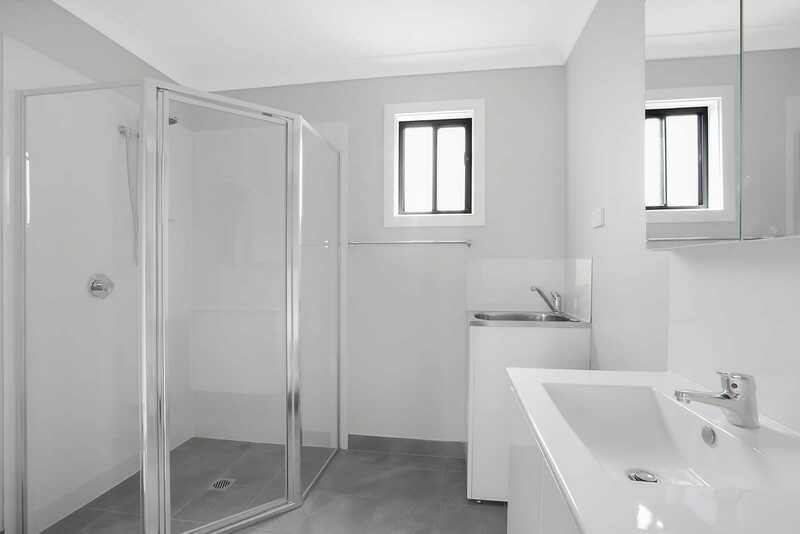 Vistelle acrylic materials are used in the shower and splashbacks, carrying on the contemporary colour scheme and tying in with the home’s overall vibe. 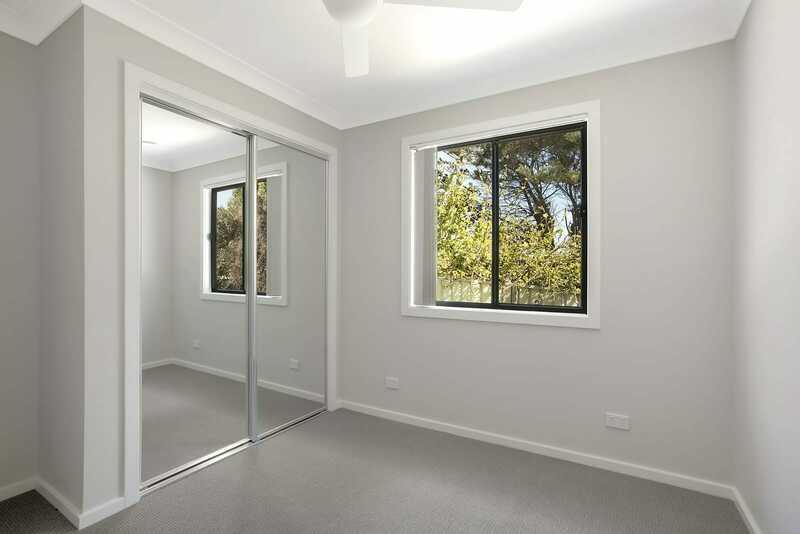 The two bedrooms mirror one another, on either side of the bathroom, and both come complete with mirrored wardrobes, providing plenty of storage. Each bedroom also has a large window allowing for an abundance of natural light. Only taking up 60 square metres, this home certainly gives weight to the saying “good things come in small packages”. 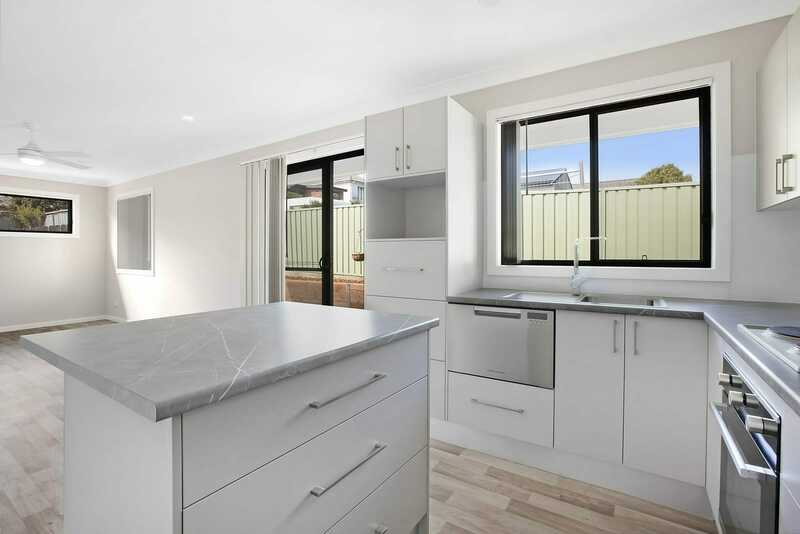 Backyard Grannys is pleased to offer a free consultation to see if your property is suitable for the addition of a designer grant flat and we’ll even provide a preliminary return report to see what rental return you can expect from your investment. 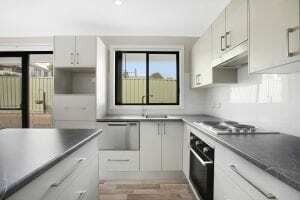 Give us a call today to talk about your own granny flat investment visions.